At an England Athletics workshop organised by Midlands area mentor for endurance, Geoff James, earlier this year, Kate Holt and her coach, Alan Morris, offered a unique insight to an audience of athletes and coaches, the latter of whom are benefitting from the local coach development programme. Holt, who began competing as an under-13 in 2004, had rapid success, winning English Schools 1500m titles in 2006 along with a AAA under-15 title and a UK No.1 ranking over the metric mile. The following year she won the Schools title again and topped the rankings at 800m and 1500m. Plenty of success followed, but after not quite matching those standards in the ensuing years, she is now beginning to fulfil her promise again – a feat not often matched when early success can lead to burn-out and worse still, demise from the sport. With the support of coach Morris, Holt is determined to become a world-class athlete and if she makes the grade it will be in no small measure due to an implicit commitment to the core principles below, which you can use to guide your own long-term athlete development. Many young athletes find the stress of commitment to academic studies alongside developing as a performance athlete to be simply too demanding and they are lost to the sport. Holt admitted to having to come through this herself, saying: “As a third-year student at Staffordshire University, I must confess I cried with the pressure of exams and assignments. I was so stressed but that’s when my coach was amazing in talking me through it. With regards to developing young endurance he said Kate works at a pace higher than her VO2 maximum during her track work. Morris was adamant about training loads and said: “Consistency of training is paramount and over-reaching is to be strictly avoided. Kate does two hard sessions a week and with a hectic lifestyle, a young athlete can forget the importance of rest and we have learned the value of having an easy run when required. 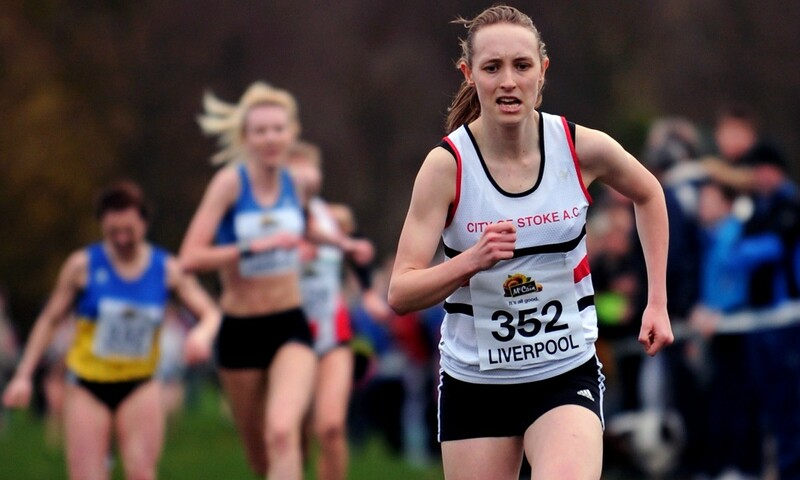 Holt added: “I can never forget my first ever English Schools Championships at Gateshead in 2006. There weren’t many expectations of me and I made the final of the 1500m. Morris is an advocate of mixing club, championship and paced races as offered by the British Milers’ Club.